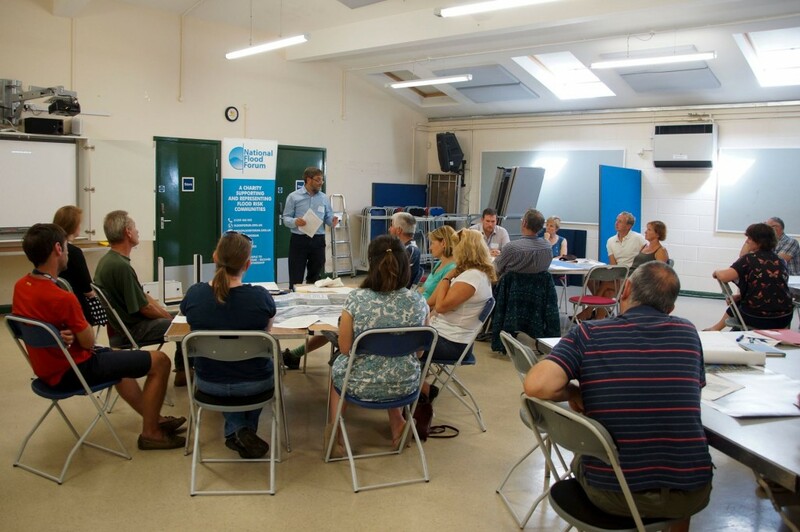 In addition to project planning meetings involving of residents involved in the the CCATCH and Belsize projects, events were held to reach out to the wider riverside Community. 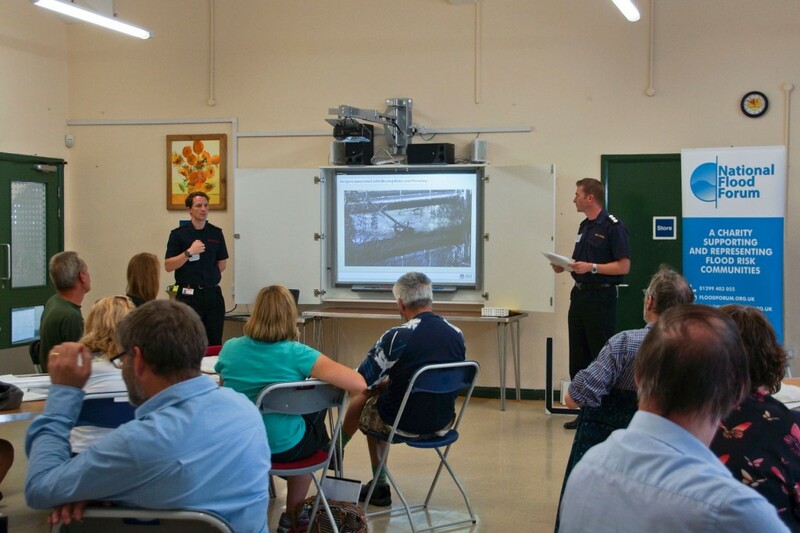 The was also a ” dry run” of the resilience plan in summer 2015. 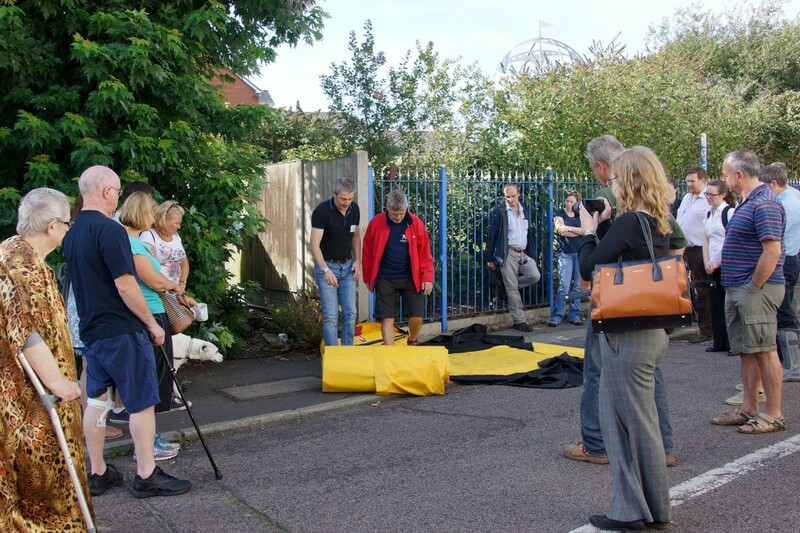 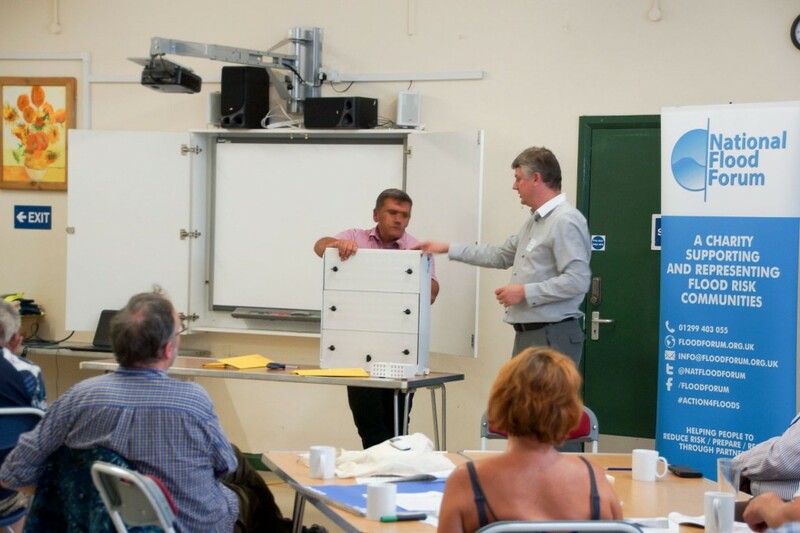 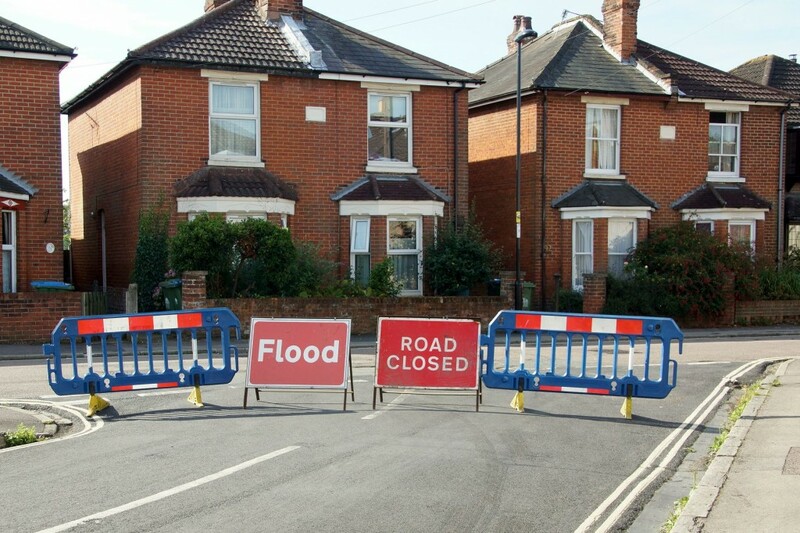 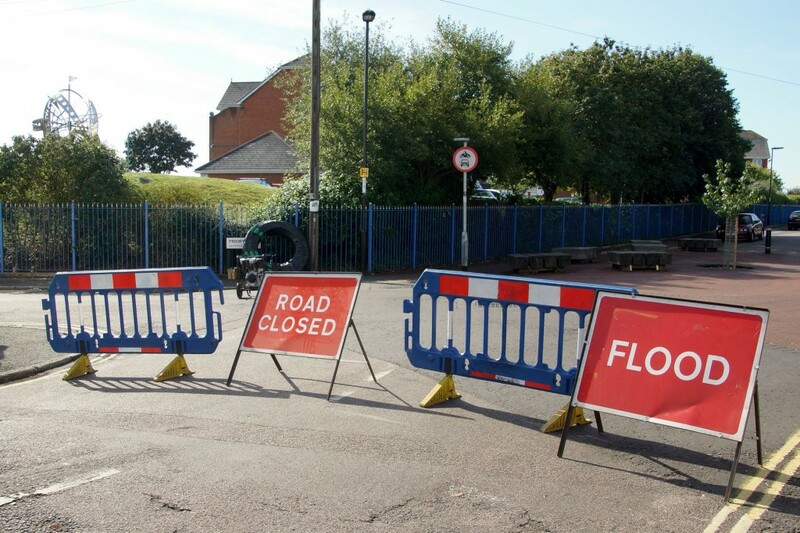 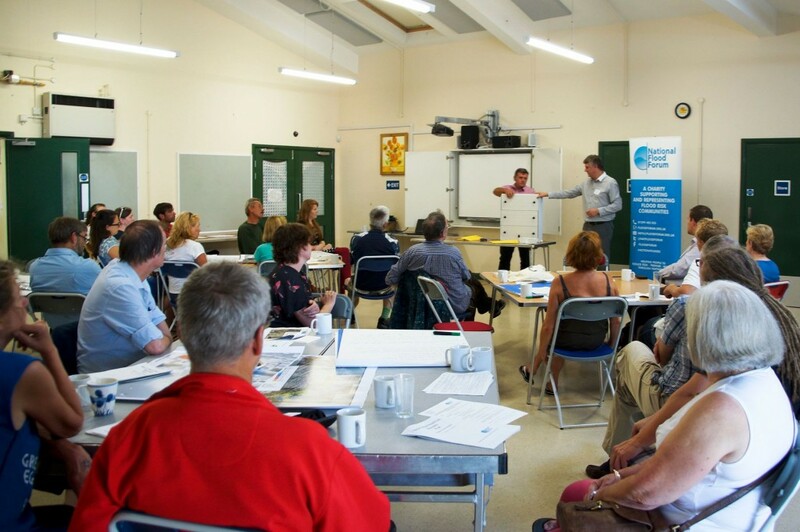 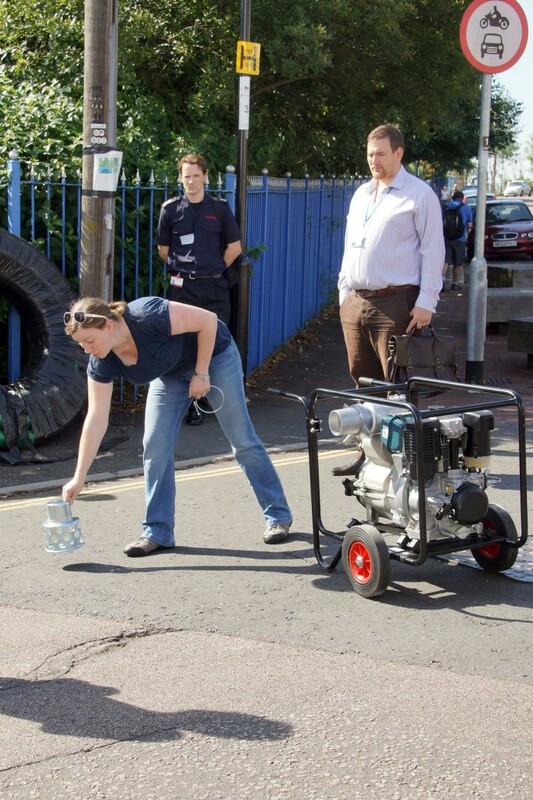 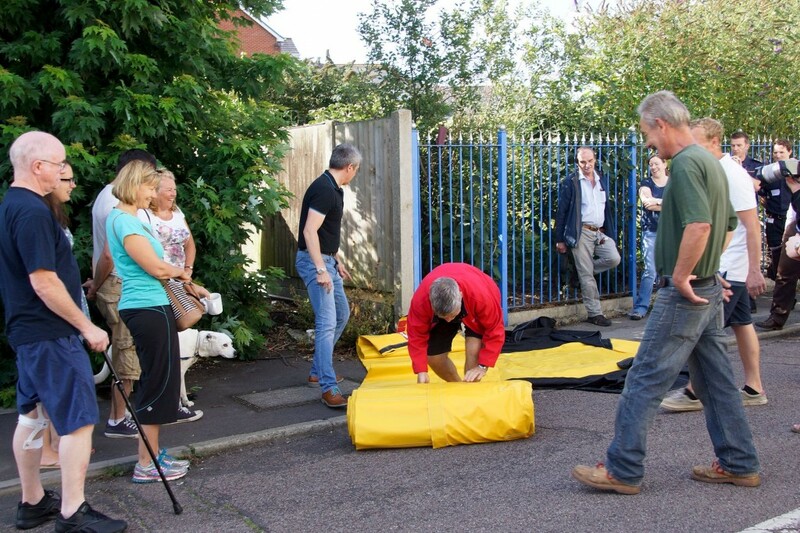 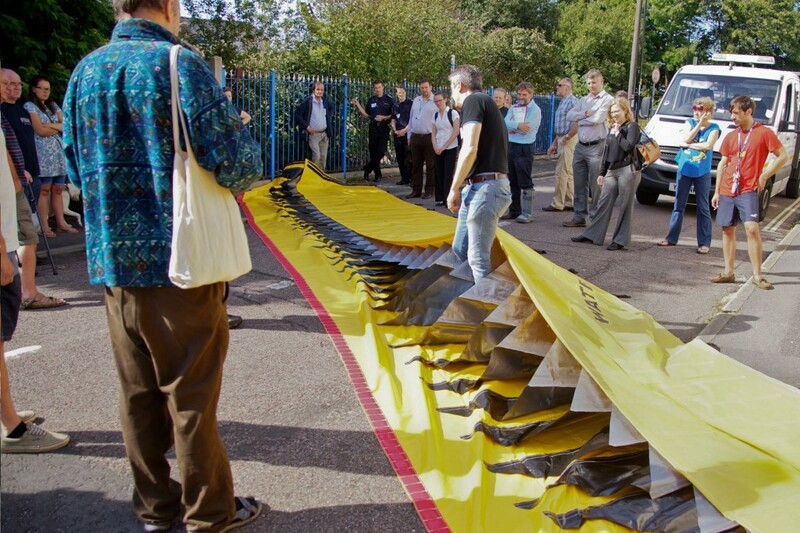 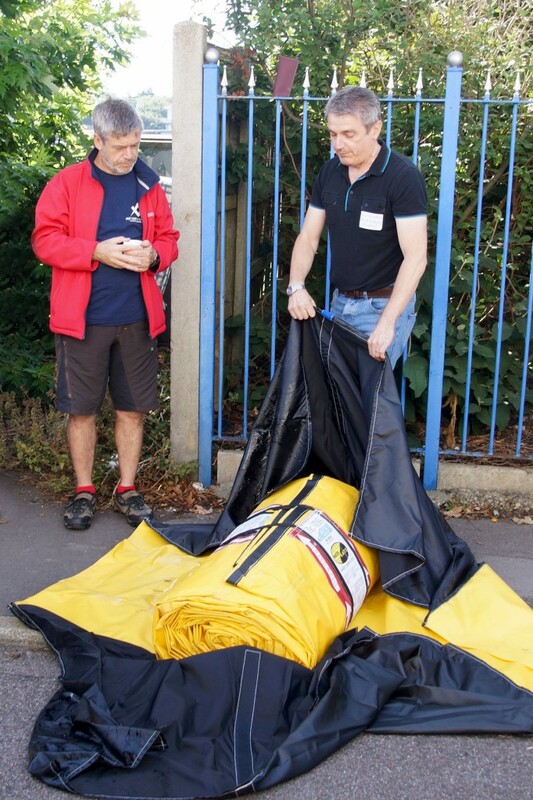 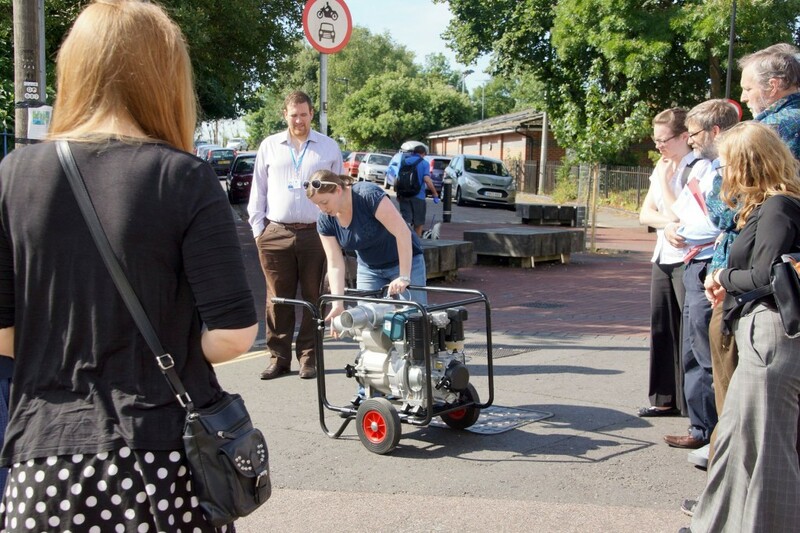 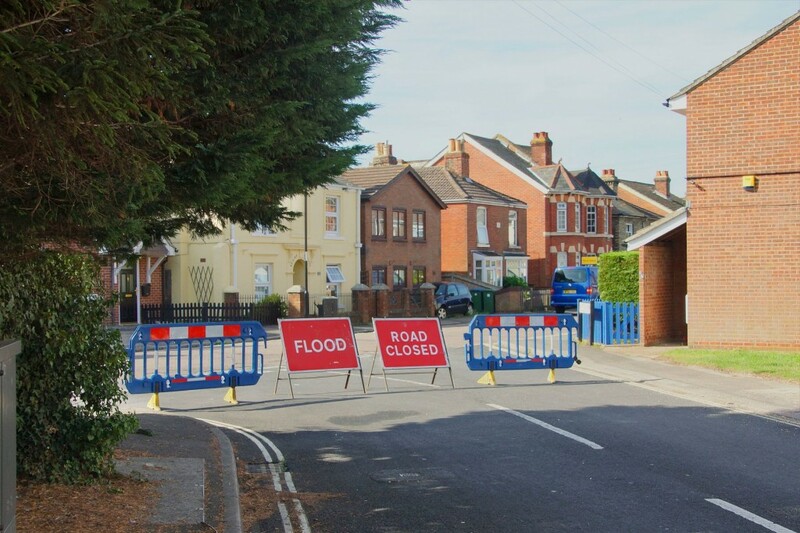 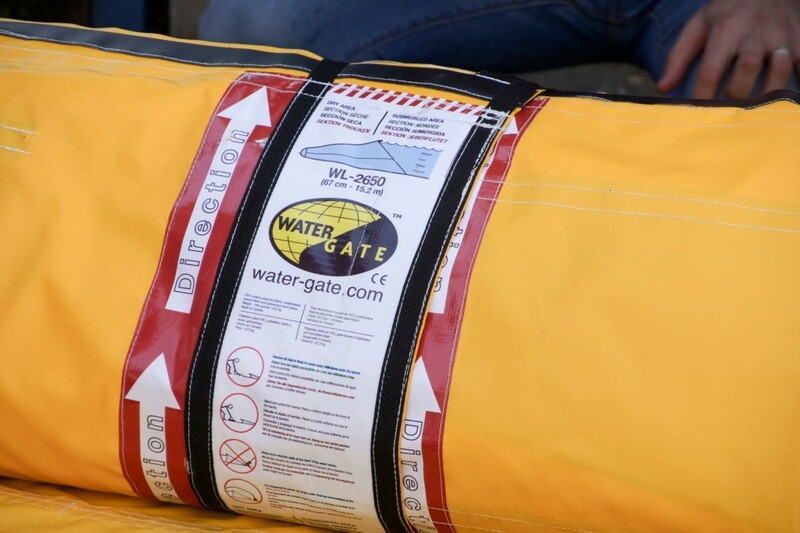 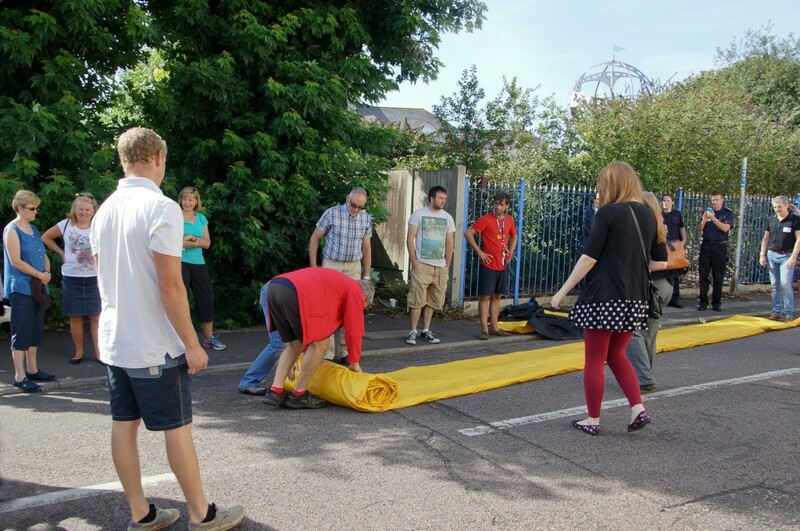 The Resilience Plan was examined in a “Dry Run” exercise organised by the National Flood Forum on the 22nd August 2015. 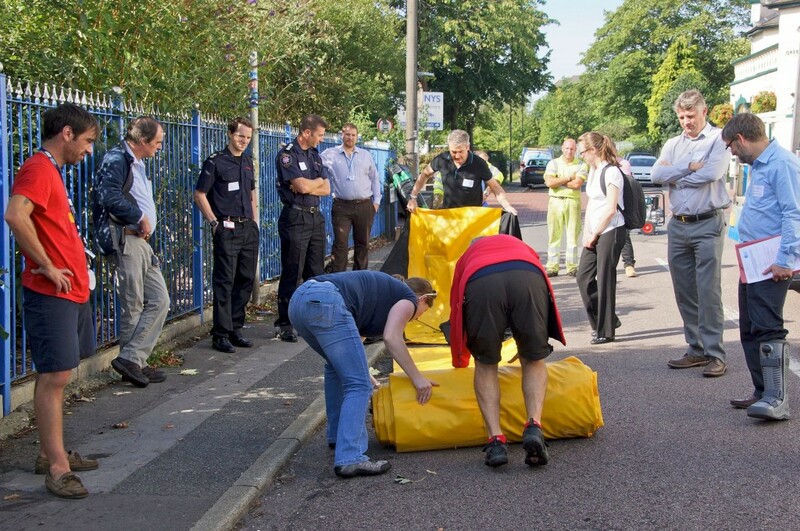 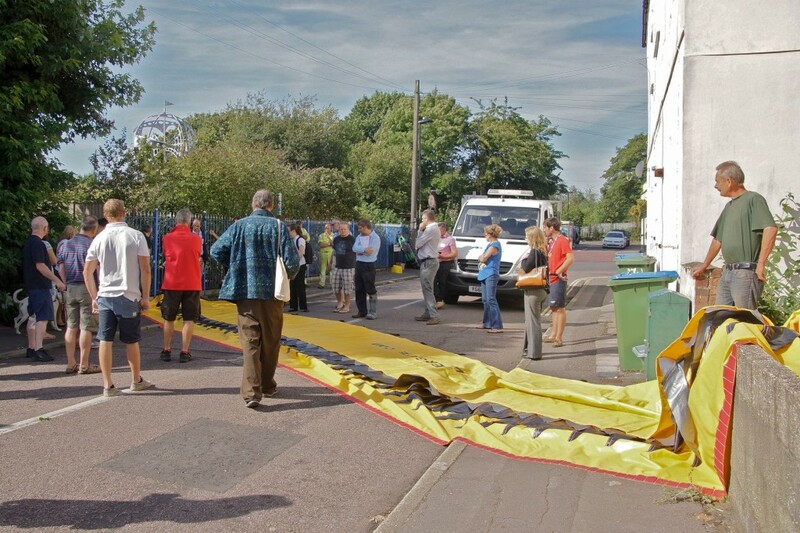 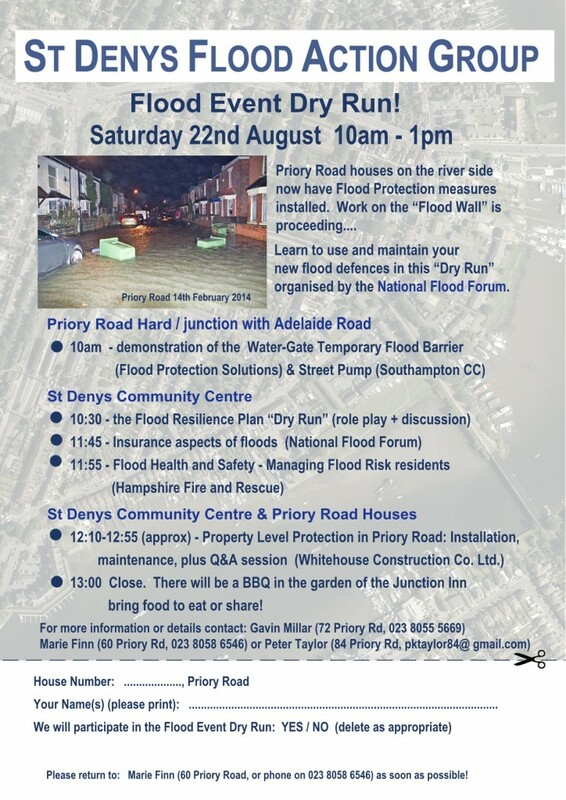 The event was well attended by residents in the “South Priory Road” Flood Resilience scheme and was found to be an interesting and enjoyable exercise. 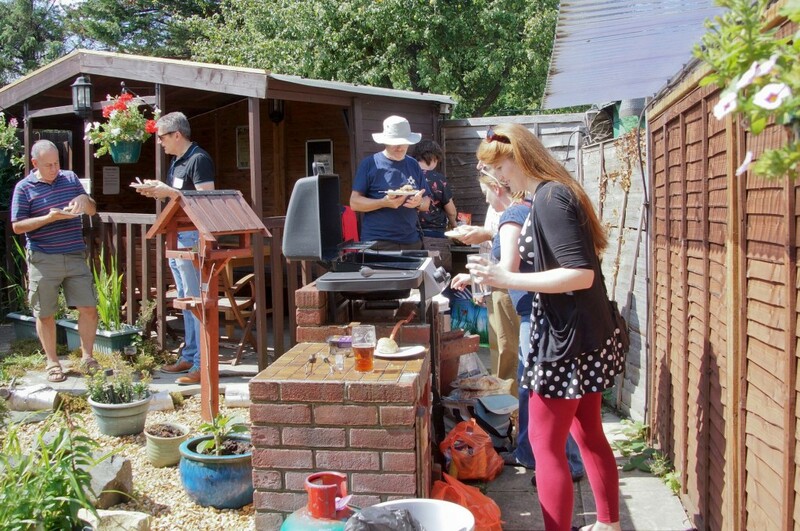 The local Junction Inn generously provided barbecue facilities following the formal event. 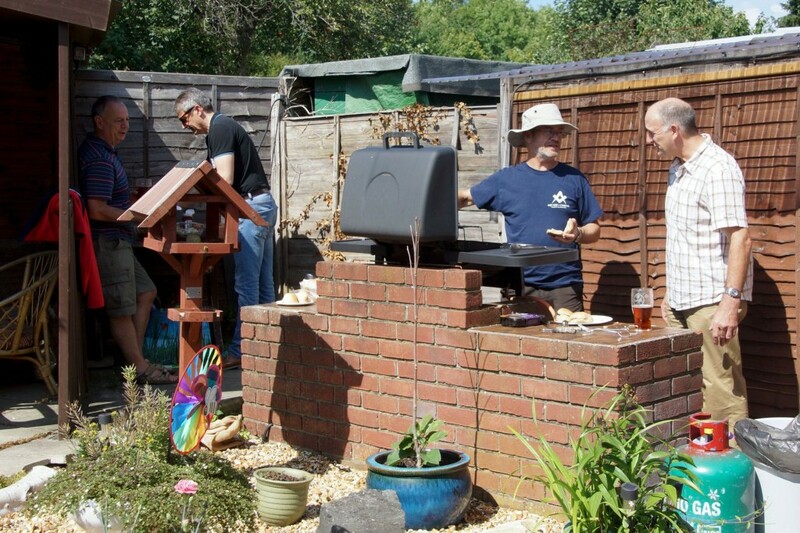 Here are some photos from the day (click on a photo to view in a slide show). 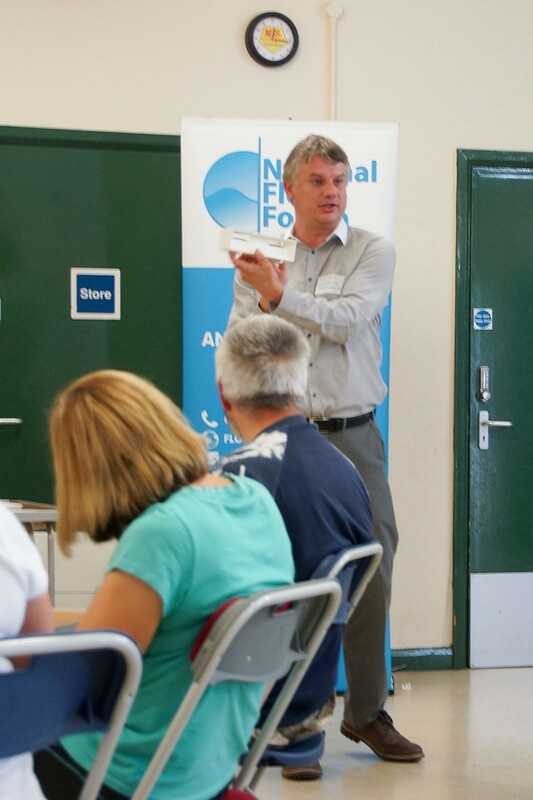 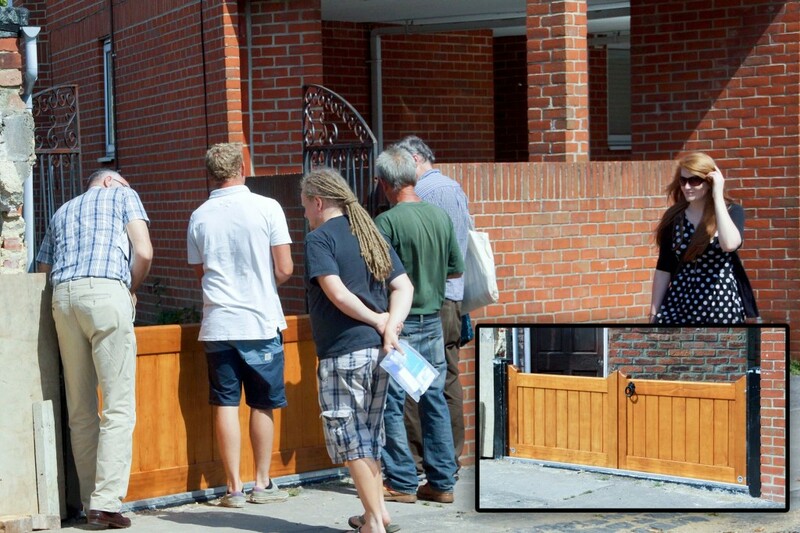 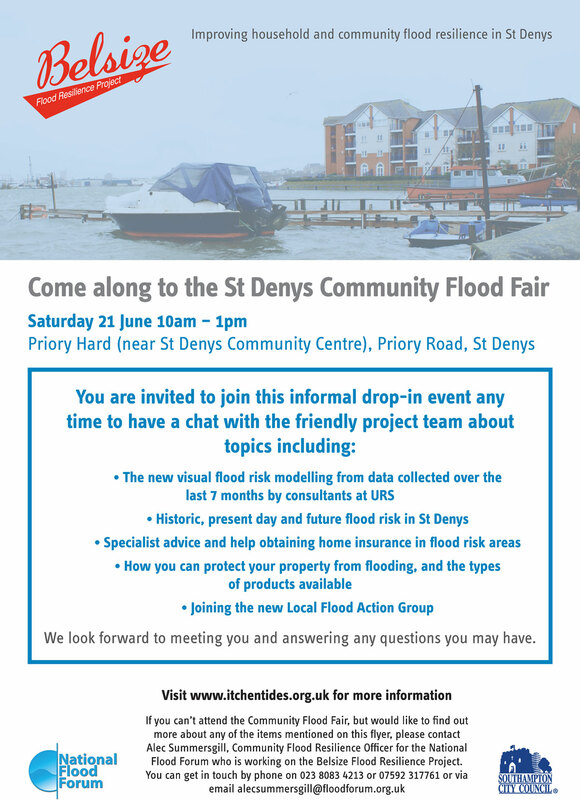 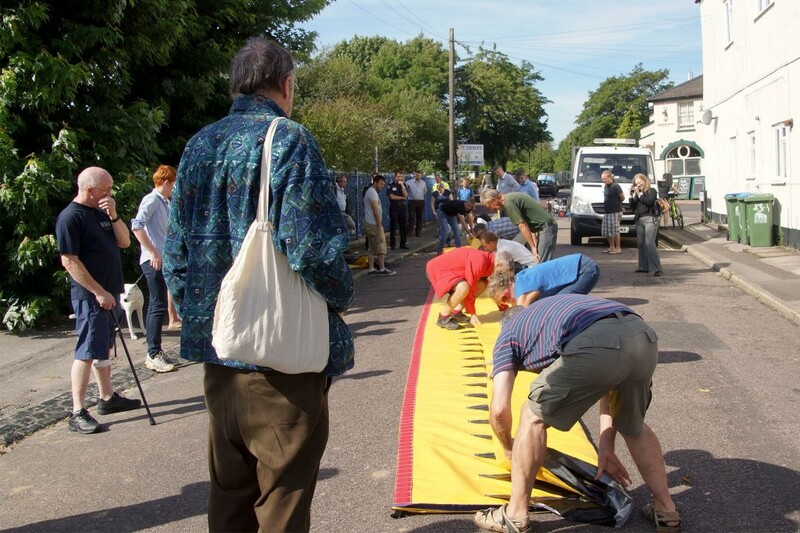 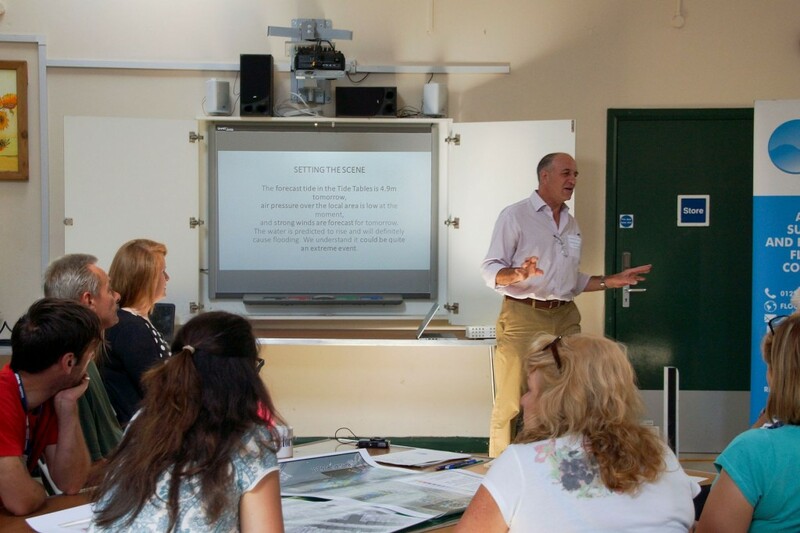 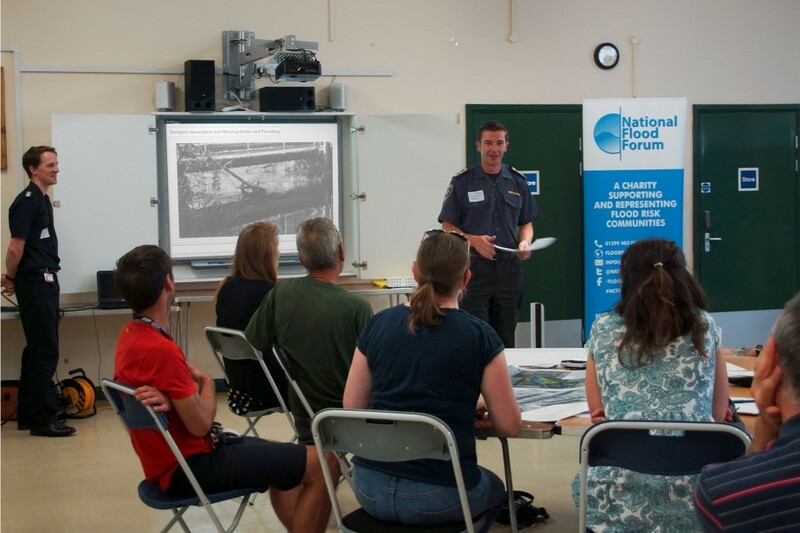 A Flood Fair aimed at publicising the achievements of the Belsize Project and giving an informed assessment of present and future flood risk was held on the Public Hard area on 21st June 2014. 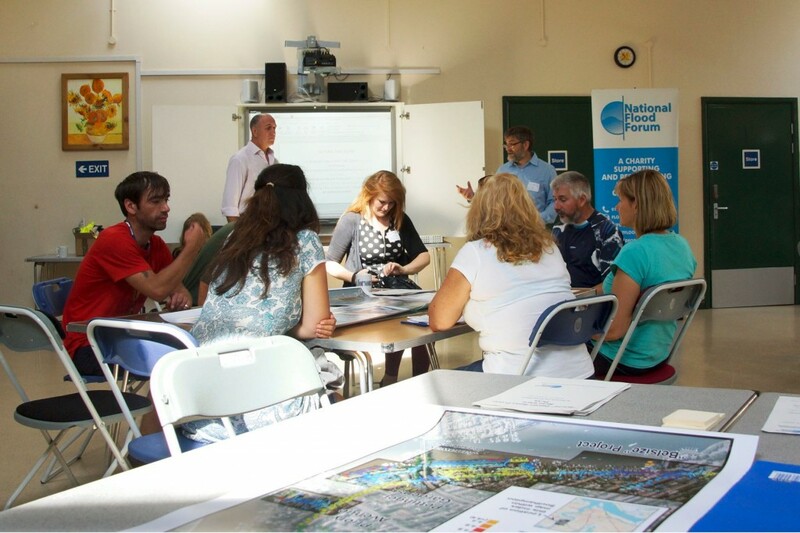 An event aimed at informing the wider community of the CCATCH project work in St Denys, and about flood risk and flood prevention, was held at the Priory Road Public Hard area on 19th October 2013. 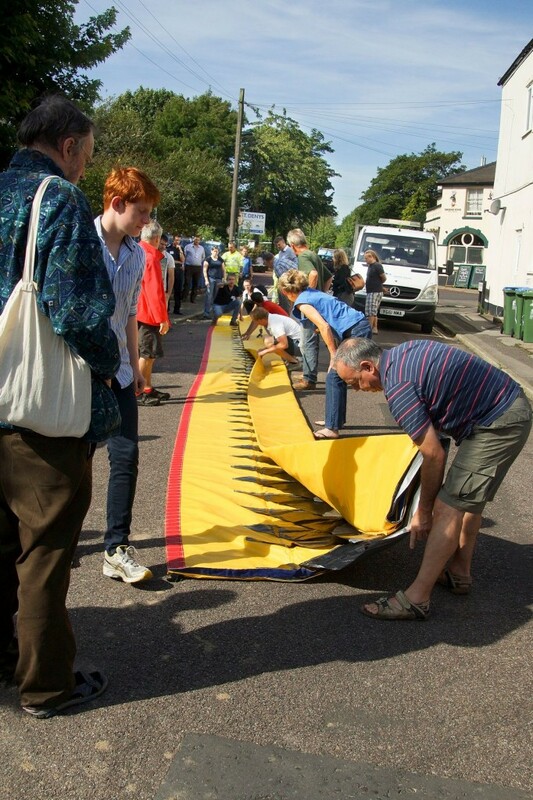 There were also displays in the nearby Junction Inn. 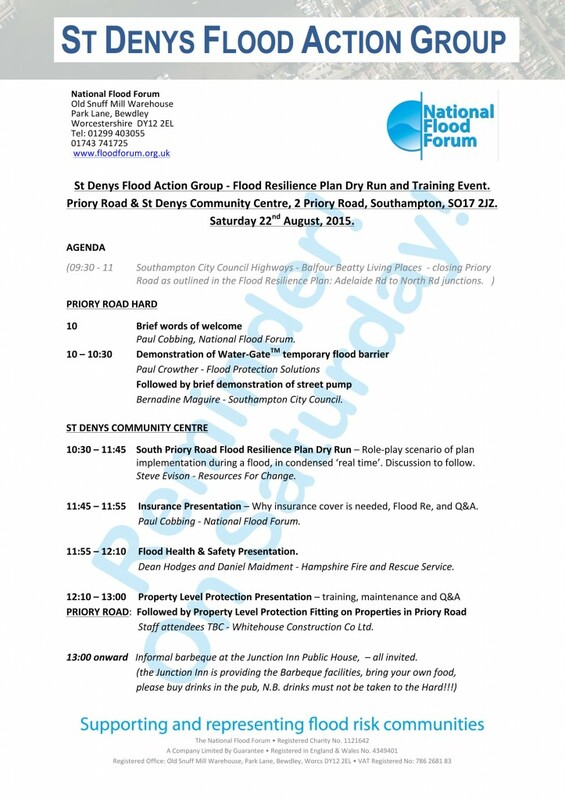 A report on the event is available here, below are some photos (click on them to enlarge).